DeepSoul Holiday Edition: James Brown - "Santa Claus Go Straight to the Ghetto"
Leave it to the Godfather of Soul to transform a holiday song into something much bigger. No one's Christmas collection should be without James Brown's The Complete James Brown Christmas. Where else can you find carols accented with the occasional "good gawd" and grunts, and wishes for all "soul brothers"? "Go Power at Christmas Time" brings the horn-filled funk, and a truly passionate "Please Come Home for Christmas" allows Brown to display his penchant for drama and heart-wrenching emotion. But one of the most famous tracks from the album remains "Santa Claus Go Straight to the Ghetto." Unlike other artists who record traditional Christmas songs, Brown infuses each song with his signature grooves and some topical lyrics. "Santa Claus Go Straight to the Ghetto" is no exception, with its plea to remember the less fortunate, inner city children during the holidays. Originally released in 1968 as part of Brown's A Soulful Christmas, the track has since become a staple on urban radio stations and a rare example of politics crossing with the usual feel-good characteristics of Christmas music. The song begins with Brown's typical tight beat, popping bass, and horns accentuating virtually every lyric. His grainy voice immediately captures the listener's attention with the title line, "Santa Claus, go straight to the ghetto." While the irresistible groove and blaring horns suggest a festive mood, the lyrics tell a different story. Brown reminisces about his impoverished childhood: "You know that I know what you'll see/ 'Cause that was once me," he sings. Now that he has earned fame and fortune, he explains to Santa, "Don't leave nothing for me/ I've had my chance, you see." Instead, he states that the children, mothers, and "soul brothers" need gifts much more than he does. Driving his point home, he admits that "Never thought I'd realize/ I'd be singing a song with water in my eyes." Toward the end of "Santa Claus Go Straight to the Ghetto," Brown invokes Hank Ballard, as in the line "If anyone wanna know/ Tell him Hank Ballard told you so." Ballard, a top R&B songwriter and performer who greatly influenced Brown's raw soul style, co-wrote the track with the singer. 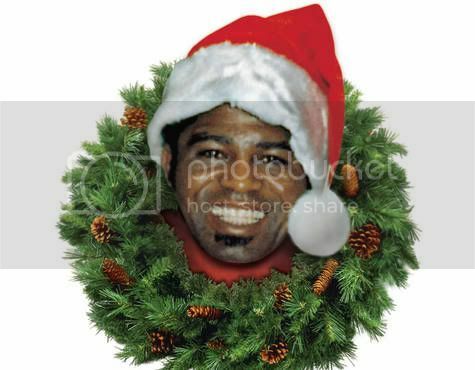 According to BMI, "Santa Claus Go Straight to the Ghetto" represents a crucial period in Brown's music and life. Until 1968, he tended to record material addressing non-controversial topics: love, dance, and patriotism. Everything changed on April 5, 1968, when he performed at the Boston Garden As riots raged across the country protesting the assassination of Martin Luther King, Jr., Boston mayor Kevin White begged Brown not to cancel the show, aruging that this was an opportunity to bring people together through music and promote peace. The resulting concert was televised, and Brown's incredible performance is credited with calming tensions in the city. Shortly after this event, he recorded the groundbreaking single ""Say It Loud--I'm Black and I'm Proud," thus planting himself firmly in the middle of the burgeoning Civil Rights movement. "Santa Claus Go Straight to the Ghetto" followed shortly afterward. Indeed, "Santa Claus Go Straight to the Ghetto's" lyrics reflect rapidly changing politics, and encourage activism. Who knew that a Christmas carol could make a political statement, calling attention to the less fortunate and urging listeners to take care of other? Leave it to the Godfather of Soul to transform a holiday song into something much bigger and more influential.